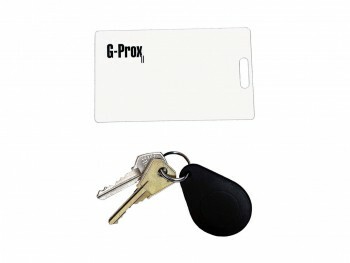 G-Prox II Proximity Access Cards permit convenient operation without the wear of a physical contact card. They are available blank (un-programmed) or in industry standard 26-bit or 40-bit format, or the Verex exclusive 36-bit format. All G-Prox II cards and keychain tokens are fully compatible with all of the G-Prox II and G-Prox III proximity reader lines.